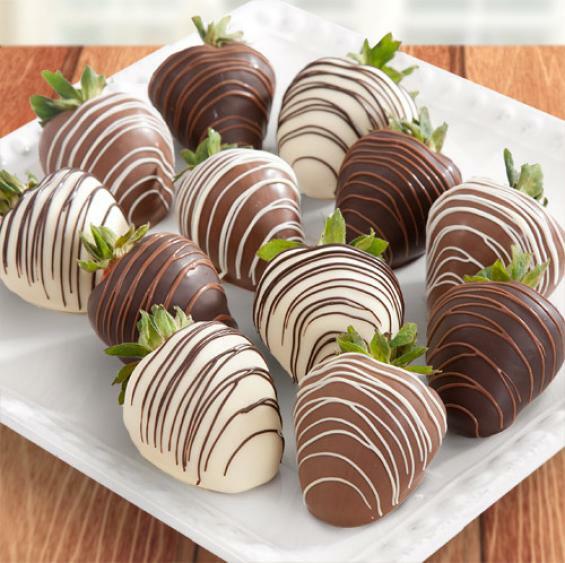 Our chocolate covered strawberries are sure to delight your taste buds. We take the plumpest; juiciest of berries available and hand dip them in only the finest Belgian chocolate. Each delectable delight is then drizzled with an alternating Belgian chocolate to finish the tasty treat.